An alternative careers festival for 16-25 year olds. Think stages, entertainment, immersive demos and a chance to meet and interact with the next generation of talent. An online platform that promotes creative opportunities, inspiration, news and businesses in a voice that young people listen to and respond to. Think Buzzfeed but for careers. 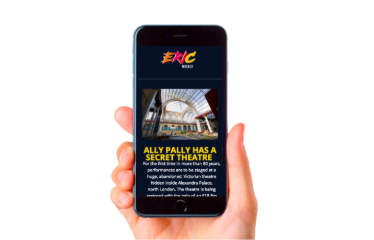 Instagram posts, stories and IGTV sent direct to ERIC's audience on the latest creative jobs, opportunities, competitions and training available.